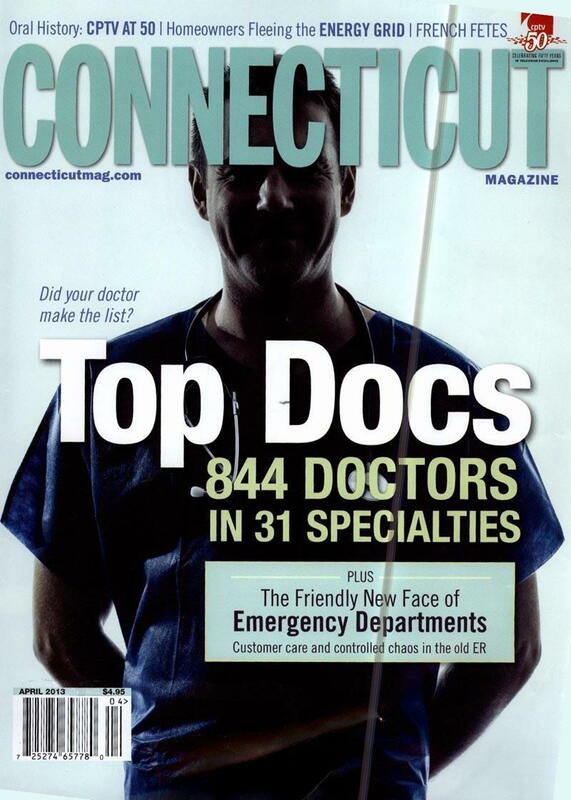 Dr. Blume was recently voted one of Connecticut’s Top Doctors of 2013 by Connecticut Magazine. You can download a pdf of the article here, or read the transcribed text below. DR. PETER BLUME is a second-generation board-certified podiatric font and ankle surgeon who brings a rare combination of experience as a medical researcher and published academician to his patient-centered clinical practice in New Haven. A graduate of the New York College of Podiatric Medicine, Ire completed Iris residency in podiatric foot and ankle surgery at the Veterans Administration/Yale-New Haven Hospital and a fellowship in plastic reconstructive surgery of the foot and ankle at Georgetown University Medical Center, and operates at Yale-New Haven. He holds clinical appointments in three specialties: orthopedics, anesthesia and surgery and also teaches surgical residents as an assistant clinical professor at Yale. While his private practice treats all aspects of foot care, from deformities such as bunions and hammertoes to painful plantar fasciitis and ingrown toenails, he is known for his expertise in diabetic limb preservation and diabetic foot and limb reconstruction. Patients from throughout the Northeast seek out Dr. Peter Blume, director of research for the North American Center for Limb Preservation, for his vast experience and knowledge addressing the concerns of diabetic patients. He has participated in 39 clinical trials on topics related to gene therapies for limb preservation and has presented new treatments and therapies for consideration to the FDA. He is also a specialist in external fixation, which involves the construction of metal cages around feet that have collapsed as a result of major trauma or diabetes mellitus. He lectures frequently at national and international symposiums on topics including diabetic hurt and ankle disease as well as plastic and reconstructive surgery of the foot and ankle. His research on these topics has been published in prestigious journals including the Journal of Plastic and Reconstructive Surgery, Diabetes Care, Journal of Foot and Ankle Surgery and the Journal of Vascular Surgery.